We love design. It’s instrinsic to who we are. For nearly fifteen years, Cipriano Mauricio has integrated the user’s perspective and embraced constructive collaboration to create lean visual designs. Responsive web, print and motion graphic solutions that communicate across all viewports and platforms. 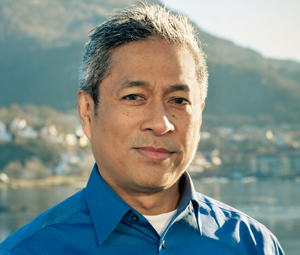 Applying expertise in New Media Design with an accomplished background in Computer Information Systems, Mauricio optimizes for current and emerging platforms. By employing the most up-to-date coding, including HTML 5, CSS 3, Adobe Edge Animate, Bootstrap, and WordPress, Digital Pond's web creations combine the flexible methodology of Responsive Fluid Design with a “philosophy of fun” to achieve the ultimate user experience. Collaborating as an active partner with clients, co-workers and end-users results in User Experience Designs that are modern, elegant and crisp. By involving the user from the very inception of the process, Mauricio delivers high-end, innovative web, print and motion graphic design solutions and visual proportions that draw the human eye to the very essence. At the vanguard of contemporary design, Mauricio and Digital Pond enhance your identity, placement and collateral marketing. Digital Pond Design is a sister company to NeoStudios Design LLC. See examples of Cipriano's art work here.